Upgrade your style at Fossil with up to 40% off select hybrid smart watches for a limited time. Sale is on for a limited time only. Free standard shipping is available on all orders. Quantities are limited so shop now while supplies last. 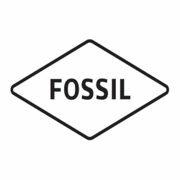 @Jackji it's actually a Canadian deal but the links are redirecting to the US site -- you can see it here https://www.fossil.com/ca/en/wearable-t ... tches.html. Sorry about that! Is this a good deal? How was the price in the past? This is a buy now think later comment. Because I already bought it.